Topics>Anger>Why Do We Throw Rocks at Each Other? Ours is a strange generation. Spoiled might be a better word. There are more churches today than ever before. We have an abundance of good teaching, close fellowship, support groups for a large spectrum of needs, caring Christians, and the hope of even more well-trained young men and women soon to be graduated from excellent and dedicated institutions. In the United States, the opportunities for employment and career advancement have seldom been better, and the challenge to reach a lost world for Christ has never been greater or brighter. And yet . . . infighting, negativity, and hurtful assaults between Christians are at an all-time high. At a time when we have every reason to pull together and work in harmony to get the job done, it seems as though some would much rather weaken the ranks and hinder our effectiveness. Today, let’s go back to some of the basics that our indulged era seems to have forgotten. 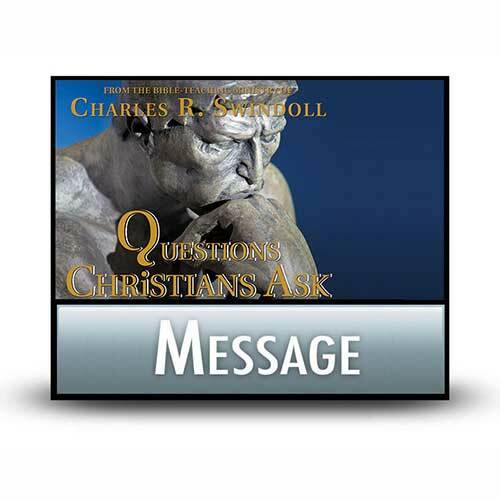 Copyright © 1989, ℗ 2013 by Charles R. Swindoll, Inc. All rights are reserved worldwide.